I absolutely love Caprese Salad. Made of fresh tomatoes, mozzarella and basil it’s great as a side and sometimes even as a meal. I also love avocados too, so when I found this recipe I had to try it. It did not disappoint. Perfection for a light meal on a warm day. I generally use the following for one serving, so you can adjust as needed. 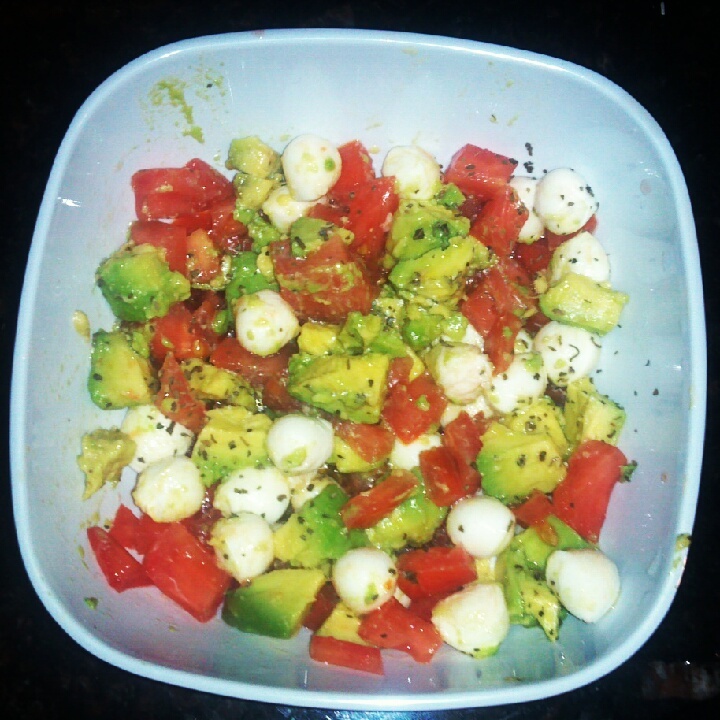 Mix avocado, tomato and mozzarella. Drizzle olive oil, add basil, salt, and pepper to taste. Mix and enjoy! Note: Cannot find the original source of this recipe. If it’s yours, contact me and I will credit.